A friend was saying how her significant other's four kids had hired a professional videographer to record his family recollections -- of his parents, old neighborhood, various issues -- so that his grandchildren and family members to come would have that family history in his own words. Yes! How I wish I had recorded my parents in their own words, but it never really crossed my mind until too late...I am often asking my aunt Libby and other relatives questions about my grandparents, my parents, various incidents/milestones, etc. 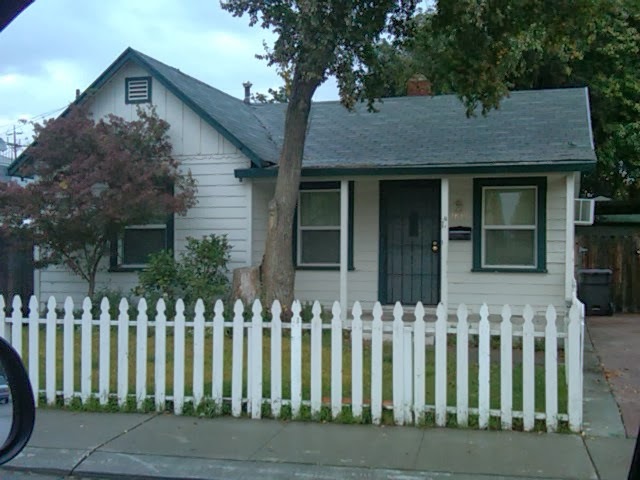 And on my last trip to Stockton, I made a few short videos on my cellphone. But of my parents I have only photos and memories to remember them by, not their actual voices and own words..
Once while we were driving around Miami, my Dad told me the whole story of how he and my Mom got their first house on Berkeley Street. I remember having that conversation, but not the facts (as I was, after all, driving!). What if he had told that story into a voice recorder so I had it now and his grandchildren could hear it some day? Don't make the same mistake I did, especially since we can now make videos with sound on our cellphones at any moment. Or you, too, can hire a professional videographer -- who can also turn your old VCR tapes and photos into DVDs, make a family movie, etc. There are many ways to save family histories, and, most importantly, in your parents' own words. How did our Yiayias and Papous end up in and around Stockton? Our forefathers came from Greece at the turn of the 20th Century to escape economic and/or political hardship, sometimes with the proverbial clothes on their backs and all the money their families could scrape up in their pockets. We often forget that Northern Greece, for example, was still part of the Ottoman Empire until World War I. Think about it. Greek immigrants settled in many parts of the U.S.A., usually following family members and/or people from their village. Why, you might ask, did our yiayias and papous gravitate to the Stockton area? 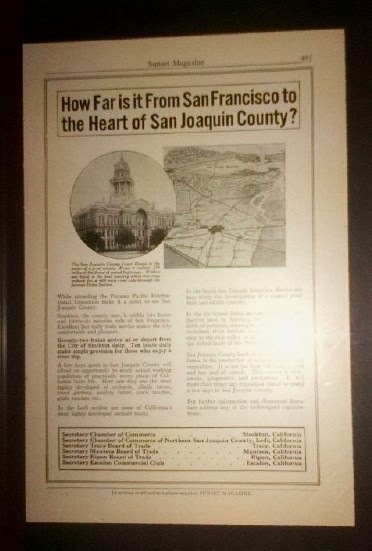 A 1915 advertisement placed in Sunset Magazine by the San Joaquin County Chamber of Commerce was entitled: "How Far is it from San Francisco to the Heart of San Joaquin County?" It was 2 hours and 36 minutes away by train. The ad went on to extol The Delta as "the most productive land in America"..."Here one may see the most highly developed of orchards, alfalfa farms, truck gardens, poultry farms, stock ranches, grain ranches, etc."... "This county is wide-awake, progressive, and prosperous." Business leaders from Stockton, Tracy, Manteca, Ripon and Escalon signed off on the message. And there you have it. My papou George Sarris had many of those things right in his own backyard on Alpine Street: vegetable/fruit garden, grape arbor, and poultry/rabbits (then somewhat problemmatic for a little girl who often refused to eat her "pets"). 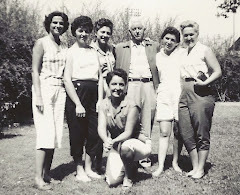 There was an ingrained quality of self-sufficiency that I did not fully understand until living in Greece some years after Papou had passed away. Many of his peers were equally industrious. Mr. Hlebakos even made his own retsina, which I also came to appreciate much more while living in Greece..
Greeks may have come to the San Joaquin Valley because it seemed like home, but they did not always become farmers. Around 1920, Bill Demakopoulos opened his Palace Candy Store and Fountain/Restaurant along with his wife Sophia (Papou Sarris' sister). It was located on Main Street near the Fox Theater. My Papou was the cook/candy maker, and my Yiayia boxed bon-bons. I am still in search of photos to stoke dreamy memories of my grandparents, hand-made chocolates (think See's Candies, started around the same time!) and special lunches with my Mom. 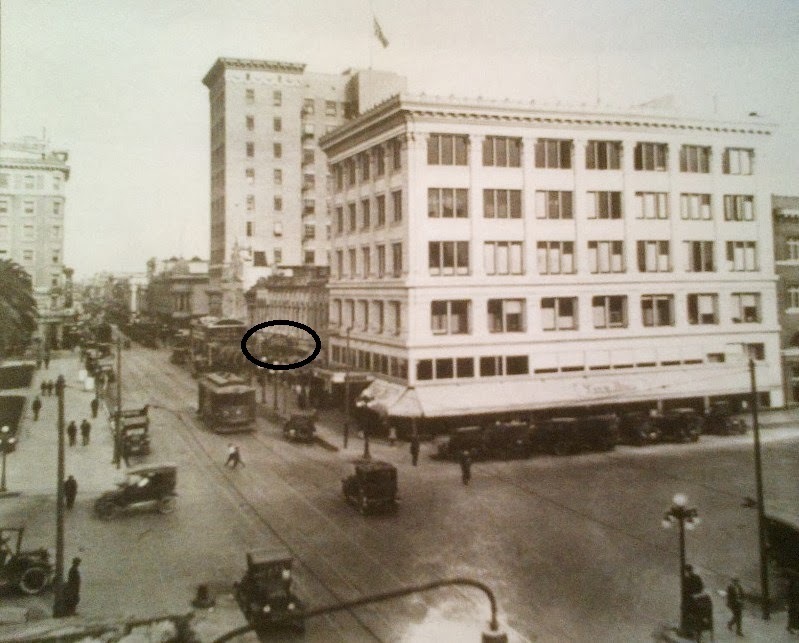 By 1927, there were at least 15 food-type businesses owned by Greeks in Stockton alone (Galanos, Spanos Brothers, Sperry, Trachiotis, Bobotas, to name a few Greek pioneers) -- a fact verified by the 1927 Stockton City Directory which can be found on the second floor of the Cesar Chavez Central Public Library on El Dorado Street. The directories are a veritable gold-mine of information, but just one piece of the Stockton Area Greek-American puzzle. The Stockton Record is there on micro-fiche -- and chronicles not only the comings and goings of our families, but also their many contributions to San Joaquin County. About 100 years and counting -- many things have changed, but others have stayed the same. Stay tuned. Here in Barra de Navidad, Mexico, one could indulge in any number of food delicacies during the holidays, like the goat stew we had for dinner last night (Take Out, by-the-way), along with a Greek salad of sorts (w/avocado) and toasted bread. Eating the bread, I found myself describing what we considered as children to be a great treat anytime the opportunity presented itself: "Rigani Bread." Yiayia Sarris made this for us using stale (as in rock hard) French bread, which might have gone to the birds in other homes. 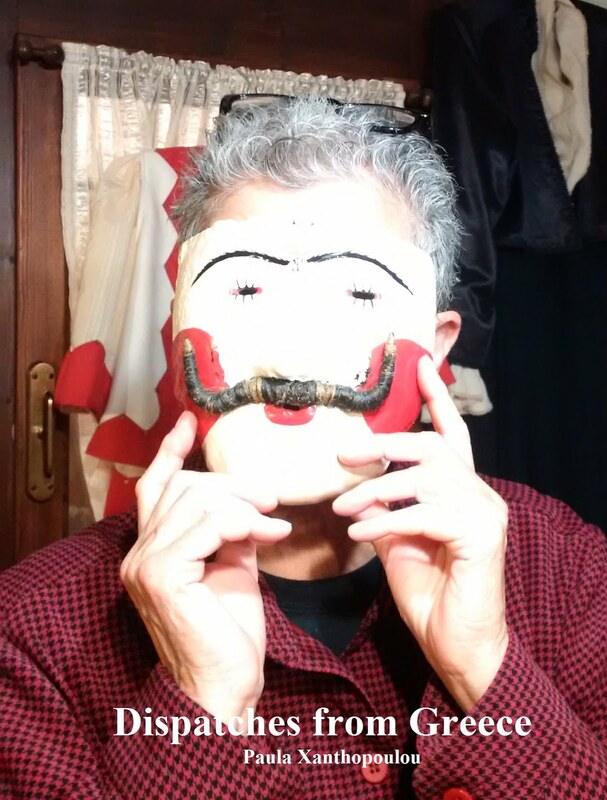 In the Greece of 1920 or so before my Yiayia emigrated or during The Great Depression, such a staple was most likely due to getting by when times were tough. 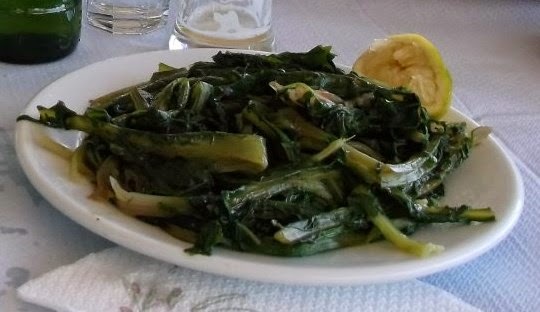 But throughout her life, she continued to make "Rigani Bread" -- wetting the bread, sprinkling it with olive oil and red wine vinegar, and finishing it with rigani (oregano). It was to die for...and we never got enough. When my brother Bill and I visited Yiayia's hometown of Koroni, Messinias, circa 1977, we asked for some. Yiayia's sister Panayiota 'bout died of barely-disguised embarrassment, while ignoring our request and bringing out even more dishes of food. Did we think they were poor? Lesson learned. But we still love "Rigani Bread...and anyone can make it, any time!